Are you looking for a way to pass the Louisiana’s Automobile Adjuster License Exam? Go no further! We have just what you're looking for! Our "Louisiana Automobile Adjuster License Exam-Prep Course" provides the fastest and most effective learning experience to prepare for and pass the Louisiana Comprehensive Adjuster License Exam. This licensing course is state-of-the-art; AND it’s designed exclusively to address the needs of both entry-level and experienced adjusters seeking licensure; and it is self-paced and provides the ultimate flexibility to accommodate whatever learning style suits you best. This course comes complete with tips, strategies and unlimited practice exams to fully prepare you to successfully PASS the Louisiana Automobile Adjuster State Licensing Exam. Each time you take a practice exam, the course randomly selects an entirely new group of questions, in just the right amount "per subject area", just like the official Louisiana exam; and at the conclusion of each practice exam, the system provides feedback on each question and refers you to the section of PSI outline from which the question was drawn, where you can find the correct answer. Study any way you want, and any time you want! The course is self-paced, so you can go as fast or slow as you wish. When you logout, the course always remembers where you were when you left off. Then, when YOU are confident and ready to take the Louisiana Automobile Adjuster Licensing Exam, go for it! You will pass! However! 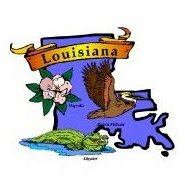 If you live in a state that does NOT license adjusters, you MUST take the Louisiana licensing exam in order to secure your non-resident Louisiana adjuster license…and there’s nowhere better to start than with AE21 Online’s Louisiana Comprehensive Adjuster License Exam-Prep Course!